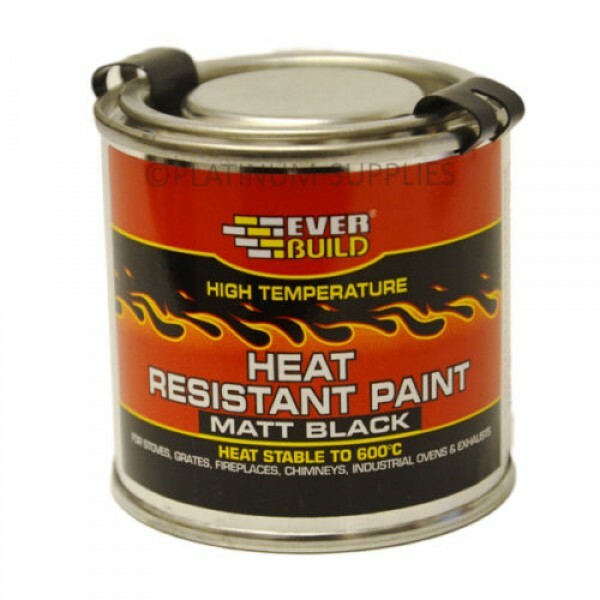 PURIMACHOS HEAT RESISTANT PAINT is a protective and decorative paint which is heat stable for temperatures up to 600°C. It is suitable for use on domestic stoves, furnace chimneys, industrial ovens and exhausts. · Spray or brush application. · Temperature resistant up to 600oC. · Works on most common mineral/metal surfaces. · Flues, chimneys and exhausts. · Domestic stoves, industrial ovens. Ensure all surfaces are free from all loose dust and contaminants i.e. rust, soot, grease, dust etc. · Shake can vigorously for at least 1 minute before use. · Hold can at 15-20cm from surface and spray with long even strokes. · Allow to dry between coats. Several light coats will give a better finish than one heavy coat. · The paint film will harden once the article has been heated up for the first time. · Drying time: Surface dry 15 minutes, dry to handle 1 hour. The paint surface if air dried will become fully cured after the painted article has been heated up for the first time. Care must be taken with the paint film until this has occurred. Alternatively the paint may be stoved to fully cure (Stoving; 20 minutes at 200-220°C). · Allow stove to cool before application and switch off pilot lights if applicable. · Test on previously painted surface for compatibility. · Apply with bristle paint brush. · Drying time; Surface dry 15 minutes. Dry to handle 1 hour. The paint surface if air dried will become fully cured after the painted article has been heated up for the first time. Care must be taken with the paint film until this has occurred. Alternatively the paint may be stoved to fully cure (stoving; 20 minutes @200-220°C). Aerosol - Extremely flammable. Store at moderate temperatures in dry, well ventilated area. Keep away from heat, sparks and open flame. Pressurised container: protect from sunlight and do not expose to temperatures exceeding 50°C. Do not pierce or burn, even after use. Tin- Keep away from heat, sparks and open flame. Take precautionary measures against static discharges. Store in tightly closed original container in a dry and cool place. Up to 12 months when stored according to manufacturers instructions.